On this edition of Gamers Get Mad for Pretty Much No Reason, we take a look into the Overwatch community. It should be prefaced that a majority of gamers can keep their heads relatively cool at most times. The gamers who are the angriest are also the loudest and bring all sorts of bad attention to the community. That being said, we got some jerks on our hands here. It is not uncommon for angry gamers to direct their hate toward a certain enemy or character, but this is taken a step further when they take aim at Overwatch voice actor Matilda Smedius. Matilda Smedius is the voice behind Tank/Support hybrid Brigitte. If you dislike Brigitte, fine, but before you clench your fist in anger, Smedius is just the voice; she has nothing to do with the gameplay or playstyle of Brigitte. If you are familiar with Overwatch, you probably know about the combo of support or healers aiding tanks. This is present in countless multiplayer games. 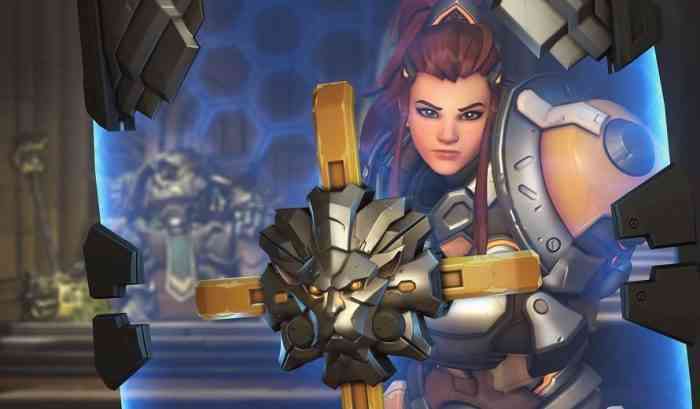 Brigitte mixes things up and forces players to adapt their playstyle. Angry Gamers don’t like that one bit. For some reason, a number of people attacked Matilda Smedius on social media saying that Brigitte ruined Overwatch and other horrible things. Smedius tweeted out a message she had received regarding the harassment. She went on to say that it makes no sense to attack her instead of provide “constructive criticism to the developers”. If I could just reference my psychology class for a moment, which I got a 63 in, I would highlight that non-logical consequences (i.e. attacking Smedius) yield unsatisfying results. Logical consequences (i.e. contacting Blizzard support or developers) are related to the issue and are much more likely to yield better results for problems. TL;DR: please don’t be a jerk. We stand with you, Matilda.